Raj Poly Chem - Manufacturer of cpvc solvent cement, pvc solvent cement & kingcol papers adhesive in Sangrur, Punjab. We are engaged in the Company Manufacturing, Exporting and Supplying high quality of CPVC Solvent Cement. 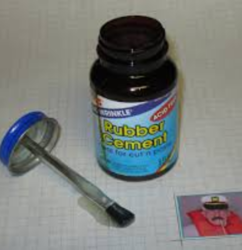 This CPVC Solvent Cement is a thick orange solvent cement. That is formulated at our own unit by adopting quality methods and using well- tested chemicals and other required material. 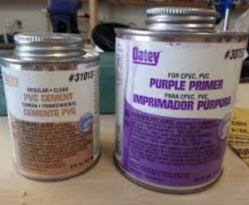 The Cpvc Solvent Cement has excellent bonding properties. We are enlisted at the apex in the List of Rigid. PVC Solvent Cement manufacturing export and supplies in India. The Rigid. PVC Solvent Cement are very useful for joining. All grade and all types Rigid. PVC Pipes fittings joint Weld. We are pioneers of ready-to-use Synthetic Paper Adhesives in India. 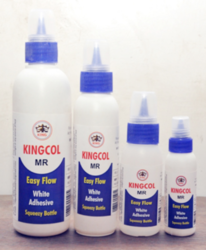 This initiative from KINGCOL Paper Adhesive has enabled a large number of Book Binders and Paper Products manufacturers to switch from conventional use of “LAI” application which is not only messy to apply but also makes the finished products sensitive to fungal attacks. Our cutting-edge grades of synthetic paper adhesives cater to major notebook, paper products and packaging material manufacturers in domestic as well as international markets. High-end technology makes these products water soluble, quick setting, provide powerful bond and keep fungus /rodents away. 25 g., 50 g., 100g. , 200g. 5 kg., 25 kg., 55 kg. 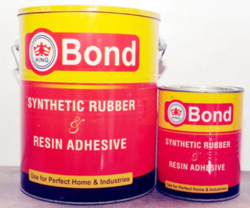 One of the finest grade of solvent- base rubber base adhesive to suit a variety of furniture, form, mattresses, carpeting and Industrial used. These products are result of careful formulations using good quality additives and culminations of decades of experience. 200 ml, 500 ml, 1 litre and 5 litre. We are engaged in the company manufacturing exporting suppliers’ best quality PLUMBER SAFEDA (WHITE STIFF). 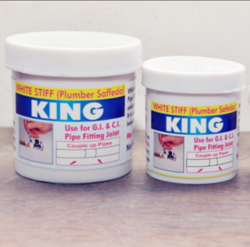 The PLUMBER SAFEDA (WHITE STIFF) is formulated at our own unit by best quality methods.